God has placed you in the position of “Trusted Advisor” to some key leaders around you. They seek your counsel. Some want your advice. But do you have the coaching skills to help them most effectively? What is spiritual coaching? How does it differ from consulting or counseling? What are the 12 essential coaching skills? How do you use them to help people move onto God’s agenda? How does dependence on the Holy Spirit fit into the coaching process? Is the coach’s role to hear from God for people or to help them hear from Him themselves? 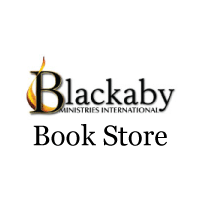 Blackaby Ministries is pleased to announce that our next Spiritual Leadership Coaching workshop will be held May 6-8, 2019 at First Baptist Church Jonesboro, GA (15 minutes from Atlanta airport). The three-day workshop will provide an introduction to key transformational skills and principles, while also serving as the first step of the BMI Leadership Coaching Certification program. We integrate the Biblical principles found in Experiencing God and Spiritual Leadership with key coaching skills to help you become more effective at guiding the people you serve to connect with God’s agenda. 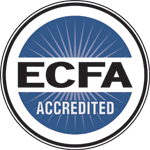 Gain a solid understanding of the Biblical role of the Spiritual Leadership Coach. Develop new skills to perform effectively in that role. 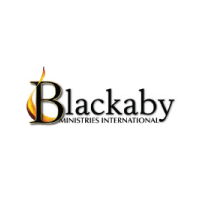 Take the first step toward becoming a Blackaby-certified, Spiritual Leadership Coach. *Group (3 or more people) & Student Rates Available upon request. Call Sarah at 678-545-2428. Note: Group Organizer and Student Rates are available. Please call for details. For more information, call Sarah Blackaby 678-545-2428. Cancellation: If cancellation occurs prior to 30 days from workshop date, the registration fee is refundable minus a $25 administration charge. If cancellation occurs within 30 days of the beginning date of the workshop, ½ of the registration fee will be refunded. Get in on the ground floor of this exciting opportunity for training! Register now! Space is limited! Interested in bringing this workshop to a location near you? Contact Bob Royall (b.royall@blackaby.org) to explore the possibility of hosting a workshop. From I-75 North: Exit 233 (Morrow/Jonesboro). Exit right ­ go approximately 4 miles. Entering Jonesboro, railroad tracks will be on your left. See Train Depot at traffic light ­ go to the next light and turn right on Church Street. Second block on the left. From I-75 South: Exit 222 (Jodeco Road/Flippin). Turn left across bridge. Go approximately 9 miles. Turn left across tracks and straight across intersection to College Street. Second block on the right.